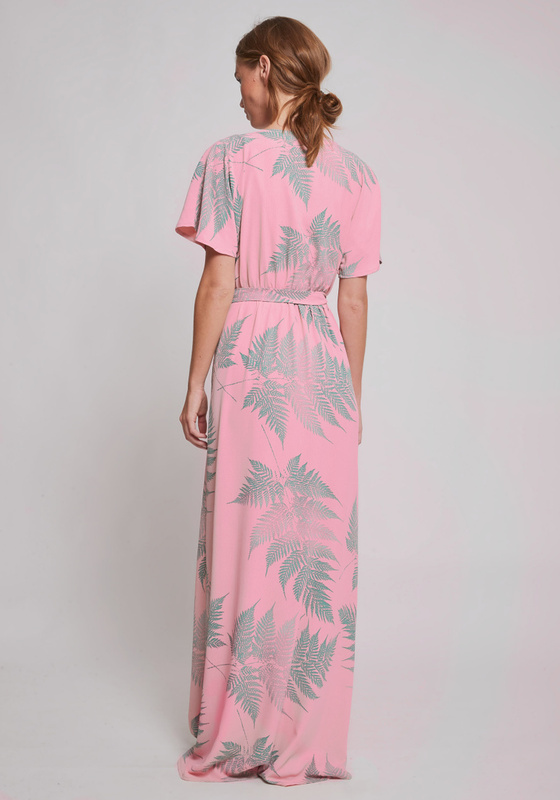 Bela Long Dress is a significant Dry Lake style and the ultimate vacation dress. Perfect to throw on over your bikini as you walk down to the beach and carry you through the sunny days strolling around on markets, plazas and into the night where you want to look a little extra. With the hot summer in mind the dress is left without lining with a relaxed fitting, an elastic waist and an additional waist tie band. Kimono sleeves and a v-neckline with a button. Along the skirt runs a flare that is significant for Bela Long Dress. Can handle machine wash. See also Mindy Dress, Lova Blouse, Melia Shorts and Miki Skirt in the same print.